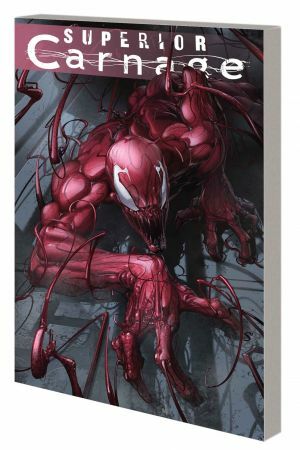 Locked away in an asylum, Carnage may finally be gone for good - but his fellow inmates have other plans. Can they successfully wake the monster? Or will this hideous experiment create the most powerful, dangerous, maniacal Carnage yet - a Superior Carnage? After performing unspeakable acts in the name of science, the Wizard releases Carnage into the world as his personal agent of evil! But can the new Frightful Four control its latest member? 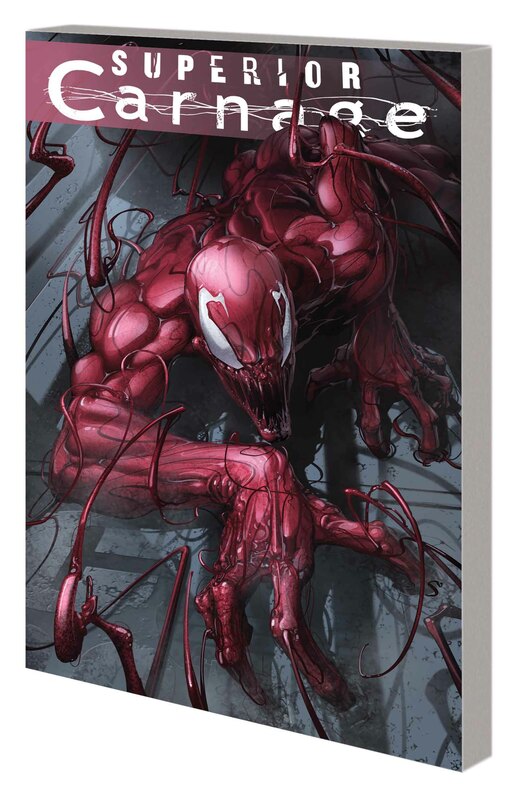 And lest you think we forgot, it's the moment you've been waiting for: Superior Carnage vs. Superior Spider-Man, with enough blood and bluster to rival Sunday nights on HBO! Can the Wizard pull one last trick out of his hat, or has Carnage been unleashed for good? It's a story so grotesquely gratifying you won't be able to look away! 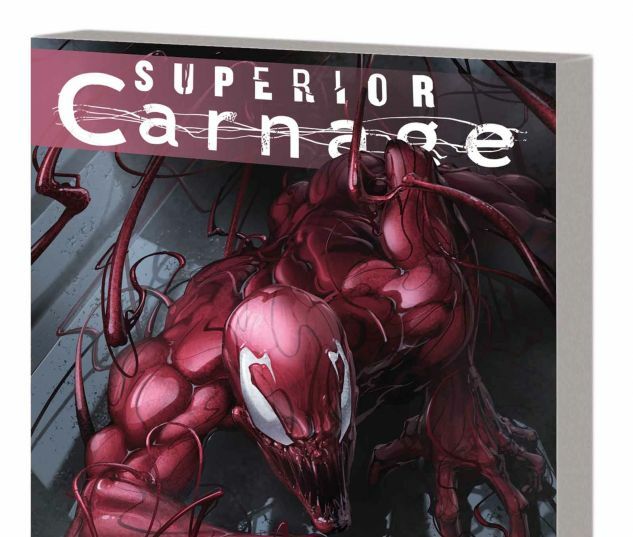 Collecting SUPERIOR CARNAGE #1-5.